When Marty McFly needed to wake up his father in Back to the Future, he used the name "Darth Vader" for his alien overlord persona. Turns out another Star Wars fan -- this one with a bit less of a mind-control-y agenda -- has a similar idea. 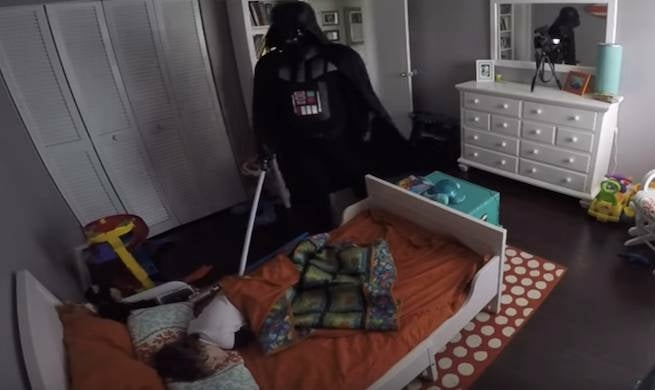 In a viral YouTube video, Rob Lopez woke up his Star Wars fan toddler while dressed as Vader. Star Wars is everywhere. Rogue One will be out later this year; Star Wars Episode VIII is currently filming, and Han Solo was just cast for another throwback movie featuring that character.